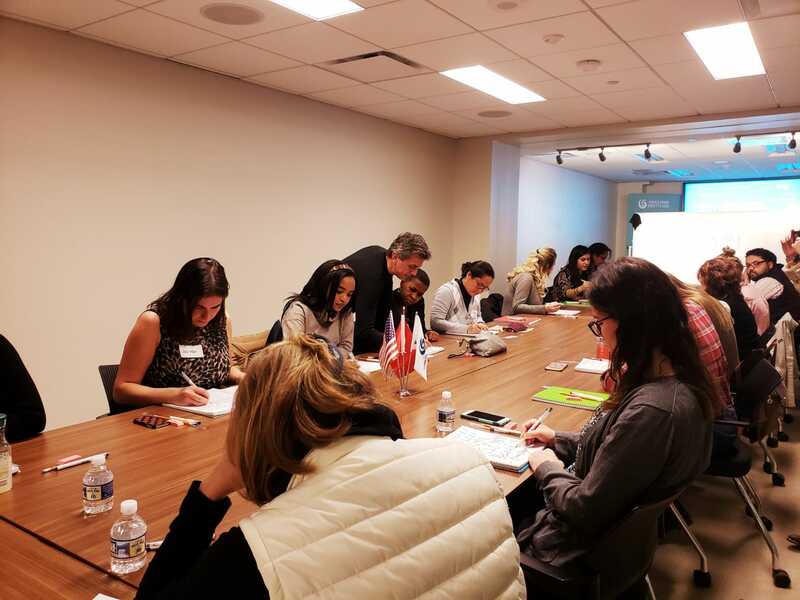 The beautiful evening of calligraphy hosted by Yunus Emre Institute in Washington D.C. on with instructor Murat Unver brought the best out of the students. The students came from different backgrounds and fully enjoyed calligraphy. They were interested in the artistic writing styles, the beauty of calligraphy, and some of them just liked the concept of calligraphy itself. Most of the students were interested in learning calligraphy from the Turkish instructor, Murat Unver. The calligraphic artist is hosting two sessions at the Yunus Emre Institute DC, and today was the first session of the workshop. The next session will be held on Dec 6, 2018. 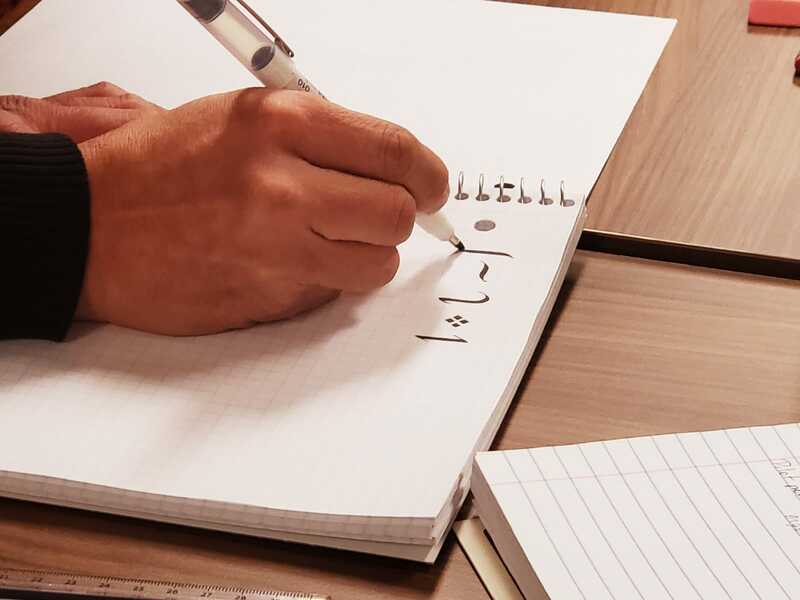 Each workshop includes 3 hours of instructions along with all the supplies needed for the class, such as special angled pens, notebooks, erasers, and rulers. Murat personally helped each of the students and analyzed each student’s unique artistic style. He first taught the key elements of the calligraphy; the five special symbols, which are the base for the calligraphy art. His teaching style is encouraging and quite friendly. He taught lower and upper case alphabet, as well as numbers and symbols in different styles. He formed artistic letters by drawing all around the alphabetical letters. The class took students to a new level of learning, and a lot of the students who came just to explore the calligraphy art left with a deeper interest and knowledge about calligraphy. The best part of calligraphy is that it has a wide room for exploration of artistic style. Everyone can mold calligraphy according to his or her own taste. The imagination and strong writing style can help create wonderful pieces of art with just letters and numbers. One of the most important thing in calligraphy is patience. It is key because each word takes time and the beauty of the word comes out with the right tools and right angles, which of course require patience. Each stroke has its own style and one needs to not only observe the instructor but practice as well. Turkey has an extended history of being one of the major founders of the art of calligraphy. Ottomans were famous in their time period in Arabic calligraphy. It still can be seen on famous architectures around Turkey in the mosques and other Ottoman buildings. Ottomans Sultans’ famous Tughra, the seal or signature is one of the examples of Arabic calligraphy done by Ottomans, which shows how artistically they wrote their names on the seals. Each Sultan had his own customized Tughra. Within the Turkish culture, there is a huge influence of seeing the art in all aspects of life, from small designs on plates at home to adornments in monumental buildings, walls, carpets, and even lamps. A Turkish calligraphy is a form of art that transcends throughout many countries. About Murat Unver: Murat Unver who is a famous Turkish calligrapher was born in Ankara in 1973, and he graduated from Ankara University in 1999 majoring in History, Geography, and Chinese Language and Culture. His interest in calligraphy started in his college days when he was introduced to Chinese calligraphy. 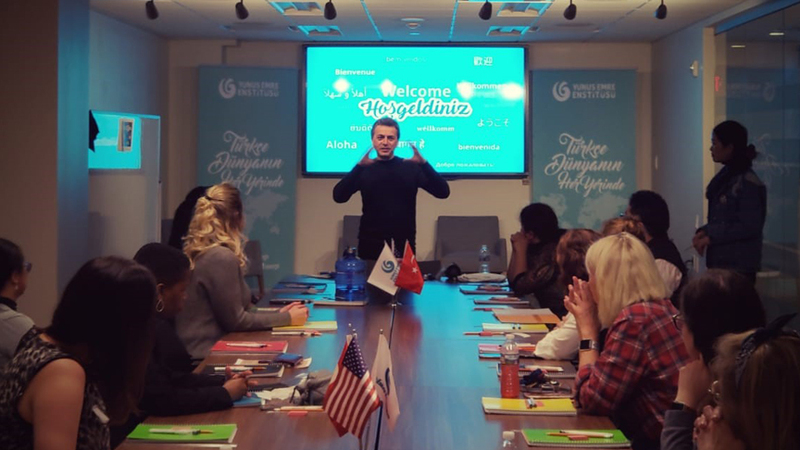 In Turkey, Unver has established a calligraphy training center and trained hundreds of students in calligraphy to introduce the calligraphy art to a wider audience. Furthermore, he brought the art of calligraphy to digital media and brought a new dimension to the field of graphic design.